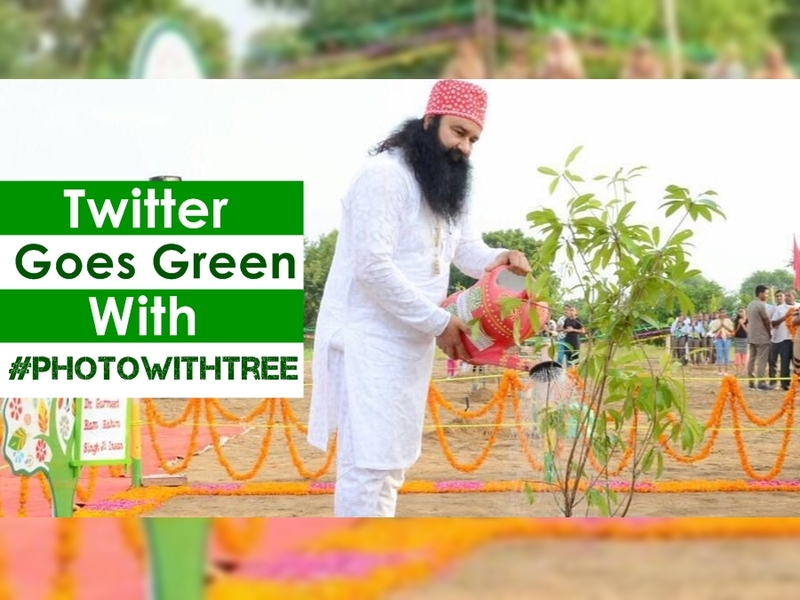 Saint Ram Rahim started trend #PhotoWithTree and within minutes it started trending, thousands of user started tweeting about it with their pic with the tree that they planted for his birthday. May be more than 40 lakh trees planted today, exact figure will be out soon. Every year Dera Sacha Sauda volunteers organize mega tree plantation camps throughout the world on the birthday of Saint Ram Rahim. Volunteers throughout the world started tree plantation at 7 am in morning, Gurmeet Ram Rahim planted a tree like every year to start this campaign. Saint Ram Rahim started trend #PhotoWithTree and within minutes it started trending, thousands of user started tweeting about it with their pic with the tree that they planted for his birthday. May be more than 40 lakh trees planted today, exact figure will be out soon. Lets look at some of the important tweets of Saint Ram Rahim. Hashtags used by Dr. Ram Rahim keeps trending on twitter time to time, it's expected to see lots of twitter trends in near future regarding his upcoming movie MSG The Warrior Lionheart.